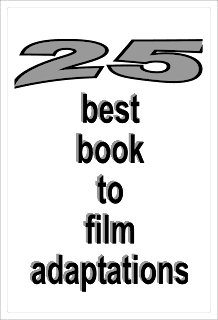 MY BOOK, THE MOVIE: Peter Newman's "The Vagrant"
This is far too much fun! 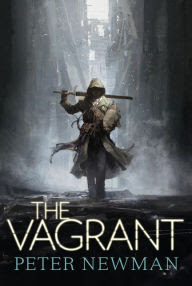 Firstly, the film version of The Vagrant would need a director that could handle epic battle but also moments of silence, slowness, with the ability to tell the story through small gestures. Ideally, I’d have Akira Kurosawa. The Vagrant himself is a tough one to get right. The actor needs to have physical presence and be able to give a powerful non-verbal performance. They also need to be paternal, warm, and do a good line in frowns, as well as being able to handle action scenes. I’d love to see a young Idris Elba or Robert Downey Junior in the role (mainly because of what he did in that Elton John video). In terms of younger actors, then either John Boyega or Jack O’Connell would be interesting. Someone suggested Meryl Streep for the goat, which might be a little cruel. Casting the right goat would be critical though and I’d insist on a real one. No CGI goats for me! I’d like Gina Torres to play Lil, the surgeon and one of the only decent people in Kendall’s Folly, as she has the requisite strength of personality mixed with likability. I’d have Mark Hamill voicing the strongest of the infernals, the Usurper. I’m not sure what voice he’d do but I know it’d be wonderful! Michael Ironside for the Knight Commander/commander because Michael Ironside. Not sure who I’d cast as the Verdigris’ troubled rebel, Harm, but someone suggested DJ Qualls, and he certainly looks right for it. I’d want Gwendoline Christie for the Hammer that Walks (a giant green mutant armoured in tank plating) and Lena Headey for Tough Call (Verdigris’ rebel leader). And, at the risk of being predictable, Tilda Swinton as Gamma of The Seven (a winged silver skinned immortal - she could do it in her sleep). I’d happily do this all day but I’m going to be good and stop there. Please feel free to continue the conversation online with your own suggestions!